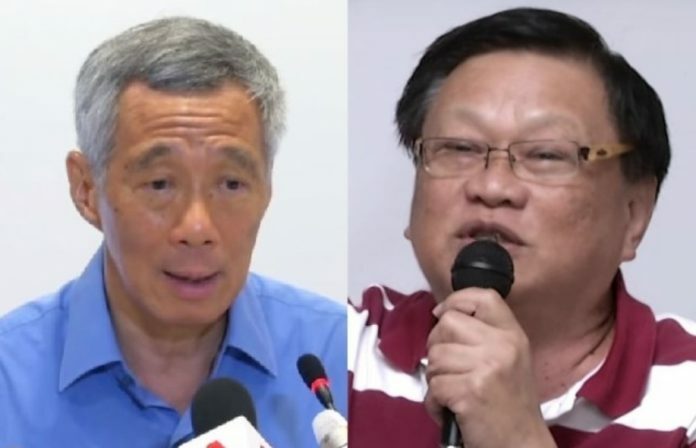 Blogger Leong Sze Hian revealed on Facebook yesterday (15 Apr) that his appeal against the striking out of his counterclaim against Prime Minister Lee Hsien Loong will be heard by the court in September. PM Lee earlier filed a defamation claim against Leong for sharing an article alleging that PM Lee played a part in laundering money from 1Malaysia Development Berhad (1MDB), on his personal Facebook page. The article, which was not written by Leong, garnered 22 reactions, five comments and 18 shares. Leong is fighting the claim against him in court and filed a counterclaim against PM Lee for “abusing the process of the court in bringing the claim against me.” PM Lee’s lawyer Davinder Singh applied to strike out the counterclaim by Leong, before Leong applied to strike out PM Lee’s original defamation claim against him. After hearing the striking out applications by both parties last month, Justice Aedit Abdullah struck out Mr Leong’s counterclaim as he delivered his judgment on 12 March. The judge cited Leong’s failure to disclose a “reasonable cause of action” in his counterclaim as the reason for his decision. The judge also ordered Leong to pay costs and Davinder Singh Chambers (DSC) subsequently sent a statement to the law firm representing Mr Leong, seeking payment of a total of S$21,000 for two summonses.